Buyology: Truth and Lies About Why We Buy by Martin Lindstrom is a fun, eye-opening book. It explores the field of neural marketing, which is a mix of marketing, behavioral economics, and cognitive science (think commercials + FMRI’s). It uses an adventure-like narrative to describe some of the procedures and has some fun little tidbits in it, like how car commercials were virtual clones (you could swap one for another without brand/product recognition), yet the mini-cooper stood out because it activated the cute facial recognition part of our brains. Maybe I’m not the only one who sees headlights as eyes and grills as mouths. – Non-important or non-existent magic mystery elements sell! The biggest question I had with it was if there was research done on how the warning labels and anti-smoking commercials impact non-smokers. While the book shows the counterproductive impact on those who are addicted, I wonder how they impact potential consumers who are not addicted. This past week I got to drive down to San Diego to see a friend I hadn’t seen for five years. She’s working on some intriguing research in the interaction of neuron shape and function. Later that week my entire family visited my grandpa, and my brother survived a really bad bike accident. The week made me realize just how much I have to be thankful for. I’m thankful for my mind–being able to think and reflect and to enjoy learning and doing. I would not be me if it wasn’t for the opportunity to grow up where I did, with the family I had, with the heritage I have, and with the friends, teachers, and mentors I was able to meet. I’m thankful for my ability to move and be healthy and for the chance to grow up without lacking food or shelter or love and support. I’m thankful for my education, in and out of school, which made me question the world and myself and the limits of my knowledge. I’m thankful for the amazing library that I grew up with, my first job and my door to a life of learning. I’m also very thankful that, despite the odds against it, my brother can be thankful for these things as well. 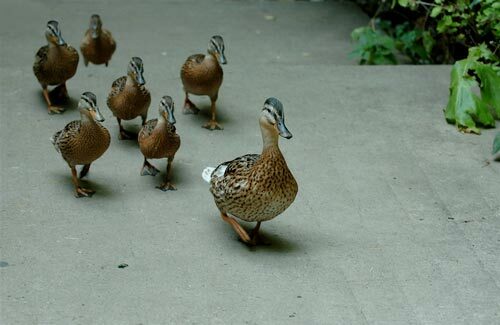 To be a leader, you must earn the respect and confidence of your team. This is a continuation of the Credibility in Coaching post, based on the same lecture and influences.